An estuary is a fertile place, a junction between riverine and ocean habitats, where the mixing of fresh and salt water creates a gradated ecosystem which nurtures thousands of species. 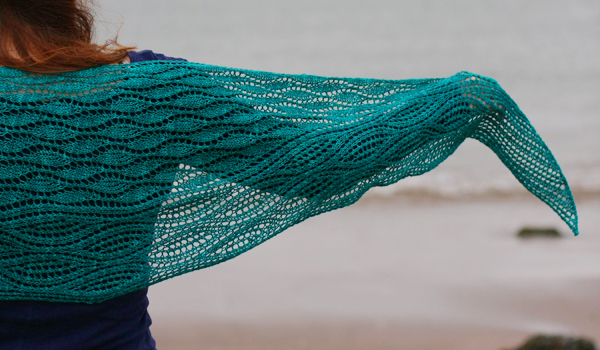 Estuary is an in-between, watery piece of lace that inhabits the space in between scarf and shawl. 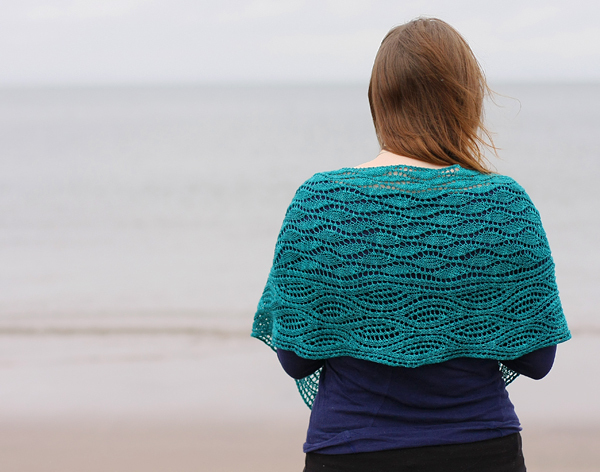 If you object to the grandma-ish shape of a triangular shawl, this could be a perfect accessory for you. 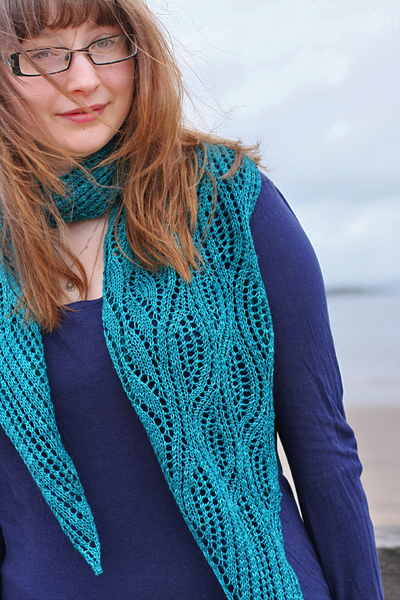 The estuary pattern is available as a free pattern download, or as part of Handmade in the UK. sizing Finished piece will be approximately 76" long by 16" deep; depending on gauge, yarn, and how aggressively you block the lace. notes Estuary is knit in rows from end to end. It consists of two different lace patterns set side-by-side as shown in schematic. Small Print: When you purchase any of our patterns, you make secure payment via Paypal, using your credit or debit card, or your Paypal account balance. (Note: You do not need to have a Paypal account to purchase). Ravelry.com then sends you an email, with a link to download the patterns or e-book that you have ordered. The patterns and book are in adobe .pdf format.